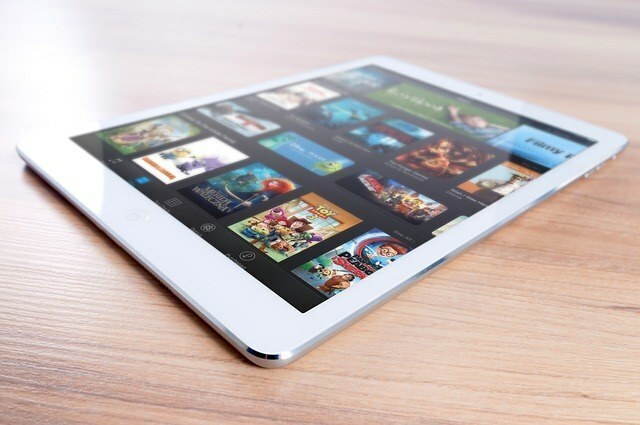 Ever since the first-generation iPad was launched by Apple, it had won consumers’ hearts all over not just because of its impressively seamless and intuitive performance but also because of its equally amazing battery life. Even with heavy use, the iPad can still last for 10 hours – but there are a few more things you can do to make its battery life stretch a little longer than usual. Tip #1: If you do not need to be connected, then switch off! There are several types of connectivity that the iPad offers – and more so if you are using the 3G or 4G version. Such connections include the likes of Wi-Fi, Bluetooth, mobile data, GPS, and 3G or 4G service. These connections have to be enabled in your device’s settings before they can provide access to your iPad. If you require one of these connections, then by all means switch its setting to on or enabled. But be sure that you only enable the exact types of connectivity that you require. Disable the rest. If not, your device will consume an unnecessary amount of power ceaselessly searching for access to connections that you do not even need in the first place! Speaking of connections, you should also learn how to manage your time more effectively when your device has access to the Internet because of one of these connections. If there is something you find worthwhile reading online, you can usually add it to applications that serve as offline readers. This way, you can simply download everything and minimize the amount of time you are online. Tip #2: Is your eyesight that bad or do you simply not know that the display of your iPad does not have to be that bright? Believe it or not, but the level of brightness of your iPad can eat your device’s battery life bit by bit. To make your device more efficient in consuming battery power, you should lower the brightness level of your display whenever appropriate. There are two ways to do this. The first is to let the device decide the level of brightness appropriate for your needs. The other way is to manually adjust the level of brightness. Either way, you need to tap Settings and manage the options for brightness level from there. Tip #3: How many times do you really need to check your email? Your iPad can manage as many email accounts as you need. With each account, you will be asked about the number of times you require it to “fetch” new data or to check for new emails. The more times your device is configured to fetch new data, the more battery power it will consume – and unnecessarily so at times. With these tricks, you should definitely have more time to enjoy your iPad. Of course, don’t forget that many of the features of iPad can only be enhanced with an online connection. To enjoy maximum use of your tablet, you may want to consider if your current wireless broadband service plan is indeed suitable for your needs.